Fun Town RV is a proud dealer of many fine Forest River RV products, including the amazing park models, including the Wildwood Lodge and the Cedar Creek Cottage. A Park Model is perfect for an extended stay away from the normal grind of everyday life. There are many fine campgrounds in Texas, as well as around the country, that allow campers to maintain their site year round. So, if you like having a little campground get-away, Park Models like these are just what the doctor ordered. 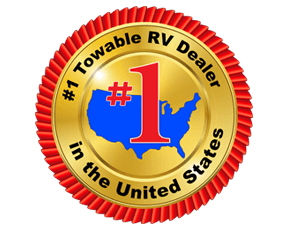 If you see something that you like or have any questions or inquiries about one of our fine models, make sure that you Contact us at the top RV dealer in TX to speak with one of our amazing sales members. Alternatively, if you want to see what we have in person, stop on by and get the full view of our inventory today. You can also check out some of our other products, including our fifth wheels, travel trailers, toy haulers, and more!